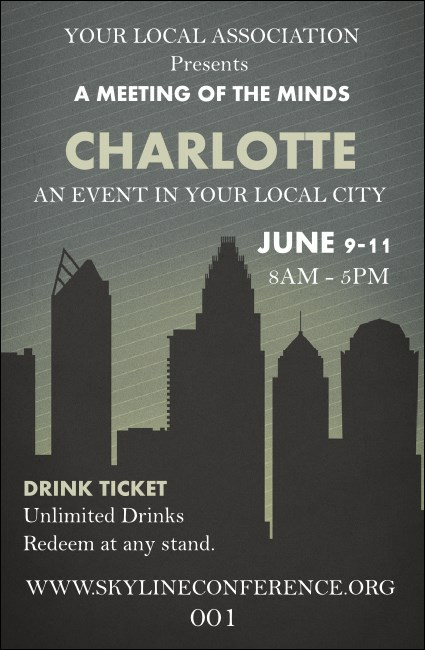 Let your guests feel like royalty for a day in Queen City when you give them Charlotte Drink Tickets for your next event in Banktown. Find the best event organization in the Carolina Piedmont with tickets that feature a stripped background design with the shadow of Charlotte’s Uptown skyline front and center. Find the right ticket for the City of Churches at TicketPrinting.com.